Every photographer knows that lighting can dramatically change the feel of an image. But controlling for that effect can be extremely difficult. Thankfully, light meters make it a far more manageable task. But a perfect picture requires the perfect light meter. 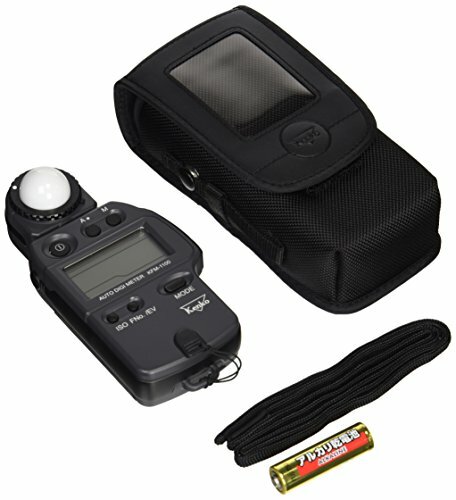 We’ll rank the best light meter for photography by effectiveness, ease of use, price and more. And we’ll close each item with the meter’s most notable features. Doing so can help photographers find the perfect match for their artistic vision. The Studio Deluxe III ranks lower simply due to trends. It’s not just a little different than the other options. It’s so different that it’s the sole analog option within this list. One shouldn’t take that to mean it’s low tech though. It functions through a high tech amorphous silicon photocell. In practical terms this simply means that it doesn’t use artificial electrical charges. It simply reacts to the world’s light and transforms that into objective measurements. This means one never needs to worry about charges or batteries. However, it does have a learning curve. But there’s something to be said for a meter that offers unlimited use. Sometimes value isn’t just about numbers. Dr.Meter isn’t the best of the best in most categories. But it begins to define itself better when one looks at the entirety of the options. It’s good to average in most respects. This meter isn’t the smallest. But at 4 x 1 x 8 inches it’s still quite portable. The corded sensor might not provide the best range. But it’s still quite serviceable in that respect. But most of all, one can’t beat the price. It’s often sold for around $30. 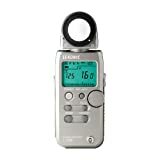 One really can’t match that level of value when considering the best light meter for photography. One can even fine tune it in order to maximize battery life. It has one significant drawback which puts it rather low on this list. It uses direct lux measurements as a primary metric. It’s certainly usable in photography. But one can compare it to getting used to celsius after a lifetime with Fahrenheit. But if that’s not too daunting than it’s a fantastic bargain. Cost is the first thing one should note about the C-700R. The unit’s comparatively low ranking comes down to the fact that it sells for over $3,000. In comparison, the least expensive consideration comes in at only $30. But if budget isn’t a concern than the C-700R is top tier. It handles almost any conceivable light measurement. This includes advanced color spectrum analysis and graphing. It easily compensates for both natural and artificial lighting irregularities. And the sensor itself reachers into 380 to 780 nanometers. And this is in singular 1 nanometer increments. The unit even boasts a variety of wireless control options. The KFM-1100 Auto Digi Meter might not impress on first sight. 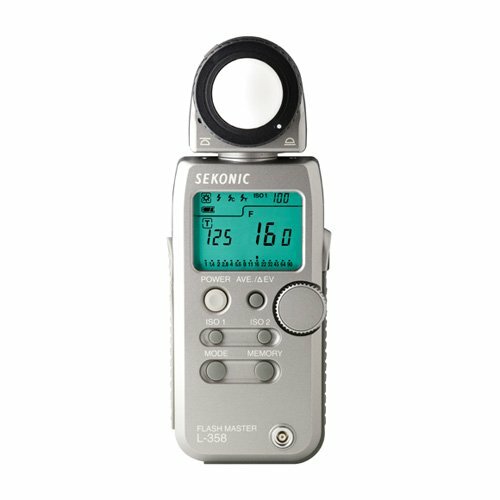 The meter’s claim to best light meter for photography comes from resource optimization. For example, the fact that it handles both incident and reflected light can be useful. 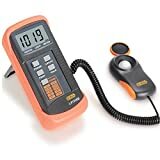 And many other options for best light meter for photography boast that ability as well. But the Digi Meter optimizes that resource to offer an analyze option. It can compare and contrast those values to better determine exposure ratios. It’s a solid design which perfects many features seen in flashier meters. The L-308X-U is a close contender for best of the best. The most easily recognized benefit comes from form factor. It fits snugly within the palm of one’s hand. 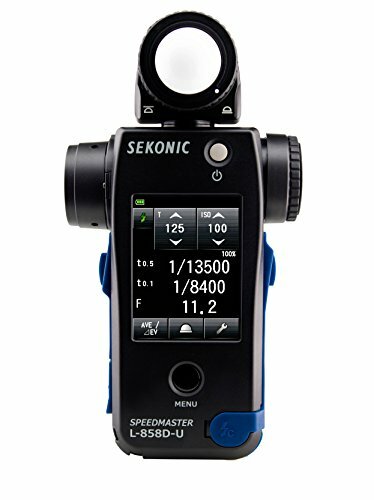 It’s both one off the smallest and most sensitive light meters. One can even tie it into computer systems. This opens up a number of possibilities for complex shots which could integrate with advanced programming. However, it sits somewhat lower in large part due to overall complexity. It’s a powerful tool. But one needs to really work at mastering it. There’s something to be said for simplicity. Some people want as much information as possible. Others prefer their data in a carefully cultivated state. The number one and two ranking depends on one’s view of the subject. 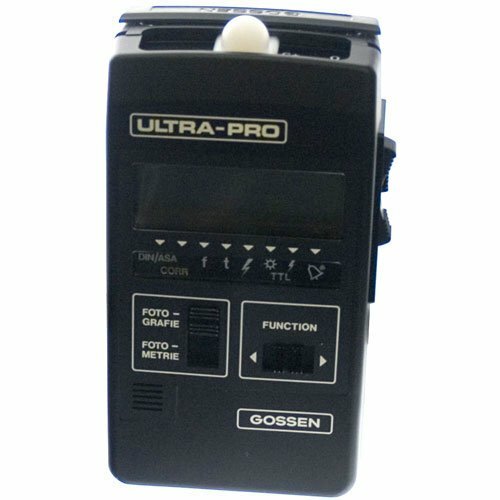 Whether the Gossen Digipro F2 ranks as best light meter for photography or second place depends on personal preference. Those who love elegant simplicity have a lot to love in the F2. It has every important reading in clear view on a stark LCD screen. The smaller amount of data means that it fits a comfortable 0.8 x 2.6 x 4.7” form factor. It even covers both incident and reflected light metering. This all makes it a one size fits all solution for people who celebrate elegant simplicity. The LiteMaster Pro wins top ranking by a good margin. One simply needs to see it to understand why. It features a full color touchscreen which displays a wealth of information. This creates a sharp contrast with meters which only output a few lines of data. The modern touches continue into its general configuration. One can set personal profile settings as one might expect in smartphone apps. 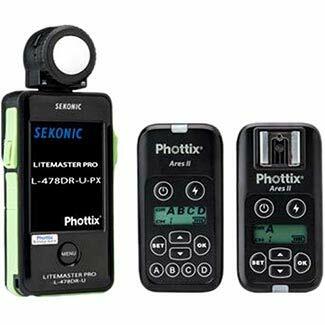 It can even interface with other photography equipment through PocketWizard protocols. But unlike other complex meters, it’s also quite intuitive. Experienced photographers can get hold of its basics simply by jumping around within menus. And finally, it’s able to offer all that power on 2 AAA batteries. The low power consumption ensures one can always have it ready to use. It’s clear that measuring light offers more challenges than one might expect. Light and art are timeless. 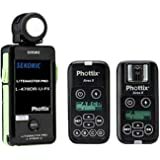 But 2018 offers some interesting variations on light meters. We’ve looked at the best of the best. But there’s still room for discussion. All of the light meters are top tier. But each offers unique benefits. As such, one might well consider what new opportunities these light meters offer. One should consider not only present need, but future artistic growth.